Why do youth need art education? The mission of Theatre Of Hearts is to promote understanding between people through cultural and artistic forums, and to empower local communities through education in the arts. The mission of our Youth First Artist-In-Residence Program is to prevent and intervene in youth violence through ongoing, high quality, standards-based, multidisciplinary arts education workshops for youth and professional development workshops for educators offered at schools and community-based sites in underserved neighborhoods throughout Los Angeles County. Theatre Of Hearts, Inc. is a Los Angeles-based nonprofit 501(c)3 corporation, founded in 1987 by Executive Director Sheila Scott-Wilkinson. 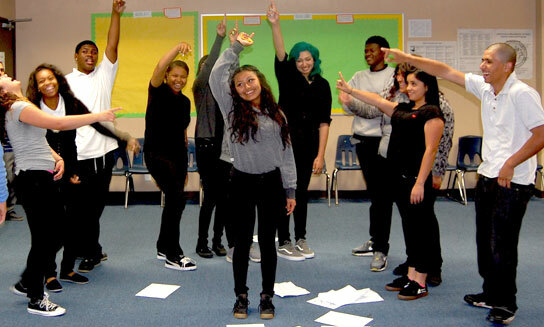 The Theatre Of Hearts/Youth First Artist-In-Residence (AIR) innovative art education programs were first introduced to Los Angeles in 1992 following the civil unrest, with seed funding from The California Arts Council, the National Endowment for the Arts, and other funders. Every Youth First AIR Program is a model of inclusion, crossing lines of race and cultural differences. Since its inception in 1992, the Youth First AIR Program has linked over 300 professional artists from the Los Angeles area with over 102,500 at-risk youth. Our residencies are long-term, providing youth with the continuity and ongoing mentoring that is critical for making a lasting impact in their lives. Each program is custom-designed to fit the needs of the program site’s current curricula or community interests, cultural preferences, age range, and developmental needs of the youth being served, with due consideration given to administration goals, site requirements, budget, and schedule. TOHYF AIR programs in visual arts, music, dance, theatre, creative writing and storytelling adhere to the California Common Core State Standards (CCSS) for English Language Arts and the Visual and Performing Arts (VAPA) Content Standards for California Public Schools. Workshops are taught at schools, low-income housing communities, libraries, community centers, juvenile detention facilities, and other community-based sites throughout Los Angeles County. Programs are conducted at these sites by trained Theatre Of Hearts/Youth First Artist Mentors, who are professional artists, dancers, musicians, writers, and performers with at least 5 years of experience working with youth in their art disciplines. Artist Mentors are thoroughly screened by passing a background check and testing negative for tuberculosis. 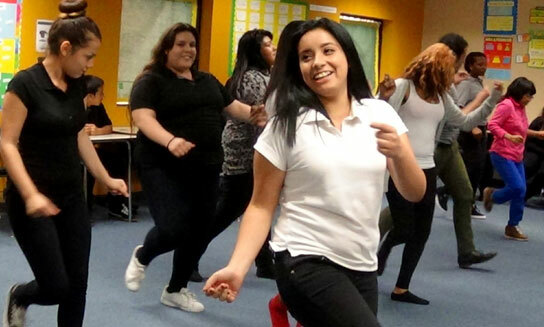 Our overarching objective is to provide innovative arts programming that correlate with current trends in the educational systems we serve, with careful attention to significant shifts in the demographics and cultural orientations in communities throughout LA County. 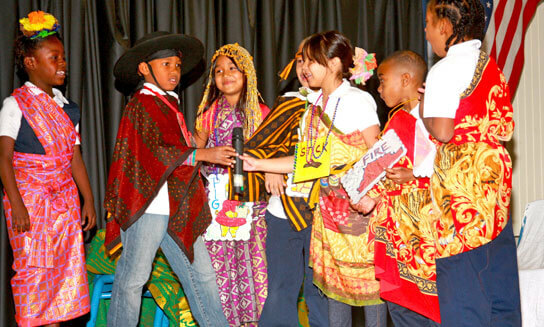 INVEST IN TRANSFORMING THE LIVES OF YOUTH THROUGH ARTS EDUCATION. Our 18th and 19th Murals, Completed! California Arts Council: We got the grant!